We have seen a few weird and wonderful mice here at Geeky Gadgets, but none as strange as this one, the Grass Covered Mouse. The Grass Covered Mouse is the creation of Japanese artist Hanaoka, and it is part of a series of grass covered gadgets and objects. Unfortunately the Grass Covered Mouse isn’t for sale just yet, but he does have some other grass covered objects for sale on his website, and 50% of the proceeds go to charity. 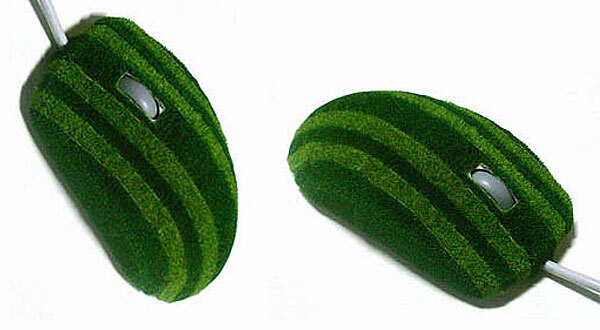 Head on over to Hanaoka’s website to check out his range of grass covered gadgets and objects.